This model from the Record collection displays a white mother-of-pearl dial with 13 diamonds indexes. 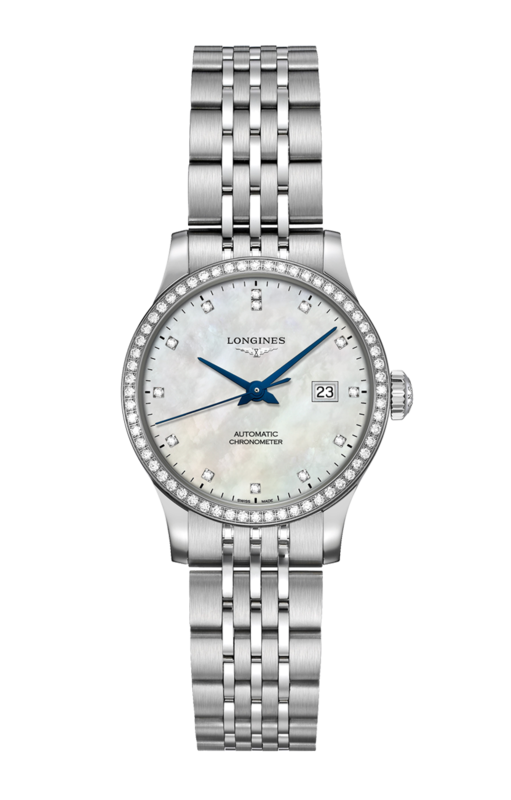 Its steel 30-mm diameter case is set with diamonds. Its L592.4 automatic movement includes a single-crystal silicon balance spring with unique properties and is certified as a “chronometer” by the Swiss Official Chronometer Testing Institute (COSC). A stainless steel bracelet completes this exceptional piece.